The French Institute of International Relations hosts this afternoon in Paris HE the MWL's SG. 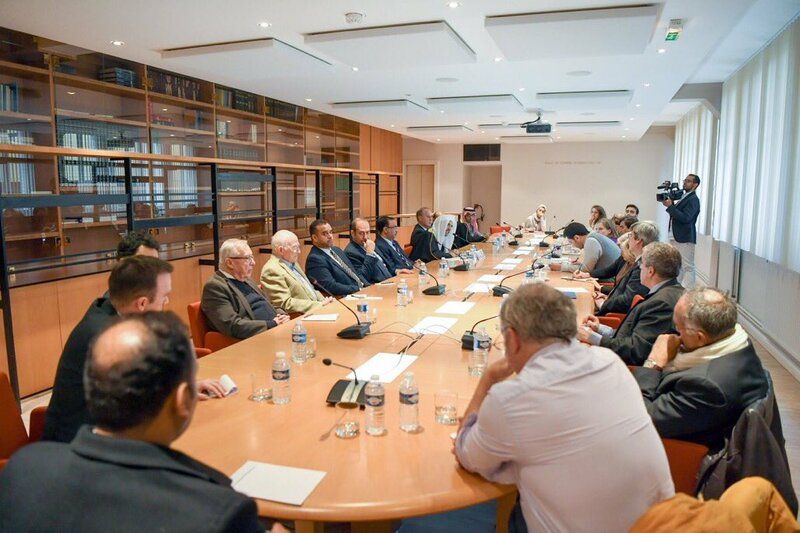 The event was attended by a selection of French "senior advisers, "intellectuals","media personel" and former ministers, where a lengthy dialogue dealt with several current issues. In his address at the opening of the MWL Conference “Islam is a Message of Peace” held in Strasburg, the MWL’s SG says,"Peace is the most frequently used word in Islamic legislature"
In his office HE the SG met a number of students of the KSU Faculty of Law and Political Sciences in the presence of Dr. Salem Almutairi.